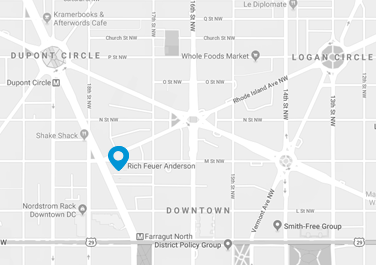 Rich Feuer Anderson is a leading bipartisan government affairs firm focusing on financial services, technology, and tax policy. At RFA, we design and implement advocacy and advisory strategies to help clients achieve their policy objectives and strategically position their business in an ever-changing political environment. Our success is directly attributable to the unique value we deliver to clients: we understand the interplay between politics, policy and regulation. Since the firm’s inception in 2003, we have worked closely with Members of Congress, influential Congressional staff members, and key personnel within the Executive Branch and regulatory agencies. Distinguishing our work are strategies that combine substantive knowledge, strategic thinking and key relationships. Our professionals have practiced securities law at major national law firms and served as corporate government affairs officers at global financial services companies and leading industry trade associations. We have drafted major legislation as senior Congressional Committee staff for Republican and Democratic Members of Congress, and guided policy from senior posts in the Administration. We know how to leverage the interaction between Congress and the Executive Branch to achieve favorable results. For over 15 years RFA has been trusted by clients, including the Fortune 500 and fintech startups, and distinguished itself advising corporations and other organizations on issues of strategic importance in business, policy and politics. RFA provides a full range of regulatory and legislative services.